It sounds like a plot for an Indiana Jones or Captain America film. But, during World War II, the self-portrait of Leonardo DaVinci was secretly moved from Turin to Rome for safekeeping from the Nazis. 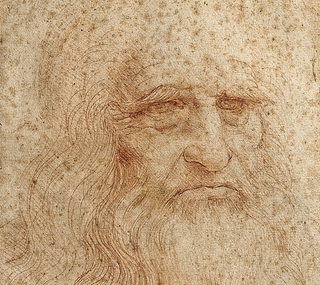 Legend says the gaze of DaVinci is so intense, that it can imbue onlookers with preternatural strength. As the BBC reports, nobody knows for sure if the portrait's alleged mystical powers entered into the decision. But, whatever the reason, it was the only work form the entire collection of precious drawings and manuscripts that was removed from the Royal Library in Turin at the time. The library's current director, Giovanni Saccani, tells the BBC that nobody even knows exactly where it was hidden. "To prevent the Nazis from taking it, an intelligence operation saw it transported in absolute anonymity to Rome." Decades later, after extensive renovation efforts, the 500-year-old, fading, red chalk drawing is going on rare display in Turin. If you go, just be cautious about staring into DaVinci's eyes.